Schlumberger Limited - SLB (NYSE : SLB) or referred to as "Schlumberger" is one of the largest oilfield services company in the world. The Company operates primarily as a provider of oilfield services in the oil and gas industry worldwide. The Company offers a large selection of oilfield services, from exploration activities to production through its 3 main segments, namely Reservoir Characterization Group, Drilling Group, and Reservoir Production Group. Schlumberger runs its business through 35 GeoMarket regions spread in all around the world. With operations in about 85 countries, Sclumberger Limited have more than 115,000 employees representing over 140 nationalities. In term of financial performance, Sclumberger Limited performance achievement throughout 2014 showed satisfactory results According to Sclumberger Limited's Annual Report 2014 as cited by JobsCDC.com, Schlumberger Limited successfully recorded a total revenue of $48,580 million in 2014. This total revenue figures reflected an 7.32% increase from $ 45,266 million in 2013. Fresh graduate S1 or S2 in Engineering or final year students who will graduate before December 2017. Strong academic results with minimum GPA of 3.00 out of 4.00 GPA scale. Maximum 2 years of working experience. Adaptable, creative, hard working, independent, and self-motivated. S1 students in Engineering who are in the 6th semester. Strong academic results with minimum GPA of 3.30 out of 4.00 GPA scale. JobsCDC.com now available on android device. Download now on Google Play here. Please be aware of recruitment fraud. The entire stage of this selection process is free of charge. 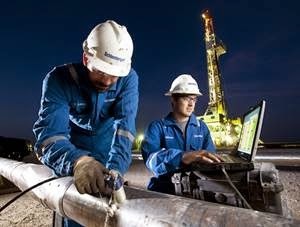 Schlumberger - Field Engineer Trainee, Field Engineer Vacation Trainee Schlumberger April 2017 will never ask for fees or upfront payments for any purposes during the recruitment process such as transportation and accommodation.